In the morning., you will be picked up at your hotel for transfer you to Pacaya Volcano. This volcano is one of Guatemala’s 33 volcanoes, located between the departments of Escuintla and Guatemala. It remains active permanently, offering a spectacular show for those who watch it nearby or from a distance (mostly at night). 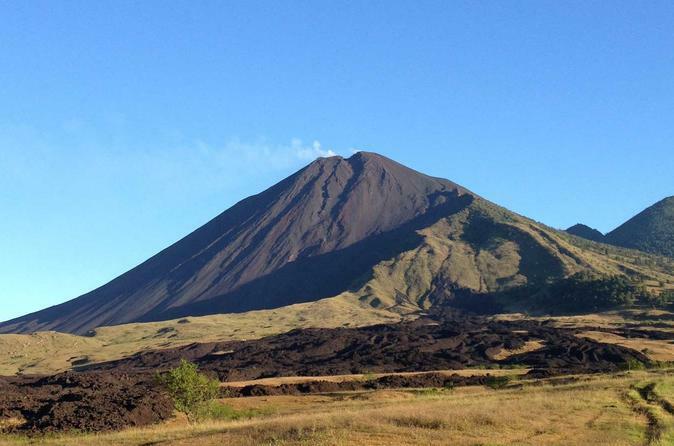 Due to its constant activity, the volcano has experienced several changes in its formation, allowing the creation of several peaks and fumaroles other than the main opening, among which the Mackenney peak stands out. In the afternoon you will be transferred back to your hotel in Guatemala City.